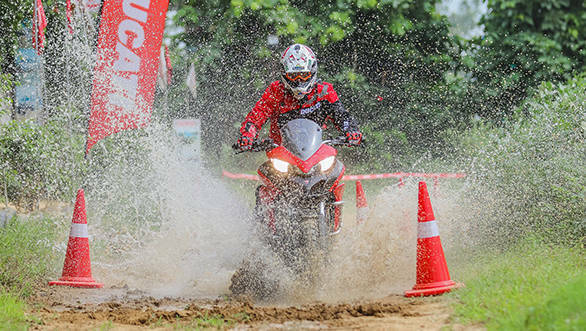 Ducati India had organised the first edition of its Ducati Riding Experience (DRE) Off-Road Days event in the country over the past weekend. 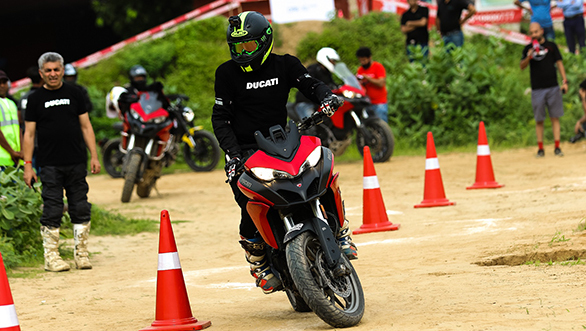 The DRE Off-Road Days at Off Road Adventure Zone (ORAZ) in Gurugram, Haryana on August 4 and 5 witnessed the participation of as many as 50 riders. This included Ducatisti (Ducatisti motorcycle owners) as well as non-owners. The idea behind the DRE Off-Road Days is to prepare the riders to feel more confident and safer when riding off the road. Vijay Parmar, Ducati Certified trainer and founder of Raid De Himalaya, provided training sessions. Ducati India had also organised the Dream Tour - Hidden Himachal ride previously. It now plans to hold its first Ducati Track Day of the country in September. 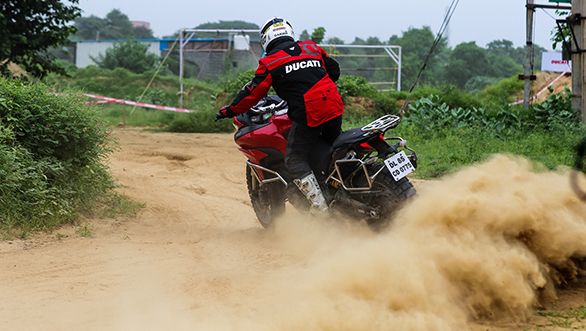 Luxury motorcycle brand Ducati successfully concluded its very first edition of DRE  Off Road Days in India. 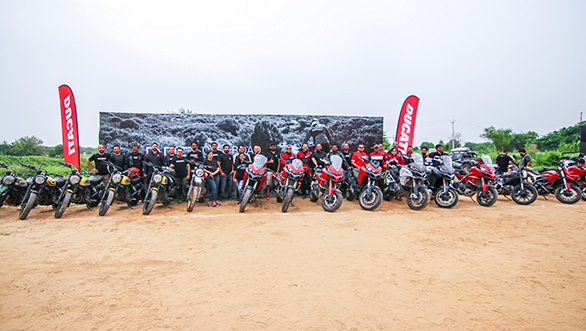 The riding experience saw the presence of over 50 Ducatisti and Non-Ducati owners spread over two days on 4th and 5th of August and took place at the Off-Road Adventure Zone (ORAZ) circuit in Gurugram. This unique ride and training combo was aimed at further enhancing the skills of riders who are currently exploring different types of terrains by riding through various parts of the country. The DRE-Off Road Days pays special emphasis on making the riders feel more confident and safer off road. This training is provided by Ducati Certified trainer and founder of Raid De Himalaya, Mr. Vijay Parmar. The sessions were concluded by recognizing the participation of each candidate with a certificate of completion from Ducati India. On this occasion, Sergi Canovas, MD of Ducati India, said, "With evolving Indian riders, Ducati has been striving to provide an unparalleled level of experience in accordance to their passion and interests. Keeping the same in mind, we organized the first-ever DRE-Off Road Days and three different Dream Tours within a span of four months, for Ducati riders to go beyond just leisure riding. The first edition of the Dream Tour - Hidden Himachal took Ducatisti through the hidden backroads of Himachal Pradesh followed by the second edition to Leh-Ladakh where the riders championed some of the harshest terrains of India while treating themselves to the most beautiful sunsets. Ducati believes in providing an exceptional, one-of-a-kind experience and the DRE Off-Road Days is another step in that direction. Going forward, Ducati India aims to put together experiences in every riding genre and engage more Ducatisti and is all set to introduce a Ducati Track Day and more Dream Tours in the upcoming months." Vijay Parmar, Founder of Raid De Himalaya, said, "I have witnessed significant growth in the adventure motorcycle segment and this trend is only going to gain momentum in future. 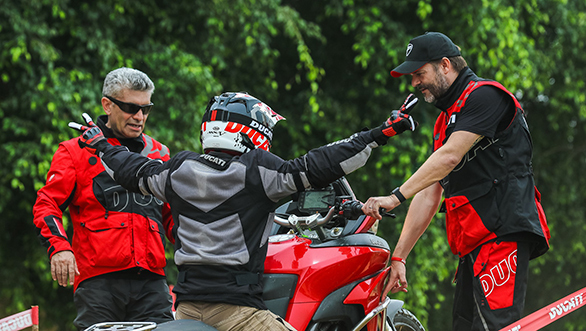 DRE-Off Road Days is a great initiative by Ducati India; people now understand the need of motorcycles like the Multistrada, however they hardly use more than 5-10% of the bike's ability. With a special training format developed by Ducati for India, the sessions in DRE Off-Road Days really test the riders in challenging conditions and enable them to believe more in the ability of their Ducati and themselves." "I am extremely happy to be part of Ducati's first Off Road Days in India. Such sessions are the perfect platform for enthusiasts who love adventure motorcycling and want to learn more about it. These trainings really evolve you as a rider, with experts drilling in techniques necessary for riding in the wild," said Satyadeep Misra, Bollywood celebrity and a Scrambler Desert Sled owner. Following this, Ducati India is bringing the first edition of a Ducati Track Day in September and is organizing Independence Day Rides for Ducatisti across its dealerships in Delhi  NCR, Mumbai, Pune, Ahmedabad, Bengaluru, Kochi, Kolkata & Chennai.